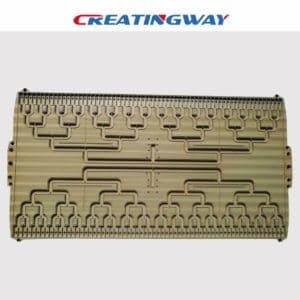 How to make better CNC Machining Product, this will be one constant topics at Creatingway,. Pursuing a better CNC machining product performance is the goal of all the manufacturers. No exception for us. As a long history and full experience manufacturer, we still study the industry developing trend, the best technology at the moment and so on. How to make better CNC machining product performance? Creatingway will take easy points to share with you. Below is several points that we learn from our business and our customer’s advice. We will gather more these related information, and keep to research and study to make better CNC machining product to our global customers. People always say that if you want to judge a company or a project, you can talk with the leader first. A good leader can encourage and inspire team members to bring their passion for making contribution to a product. Even if everybody in the team has their own idea about what makes an excellent product, a good leader will harness the collaborative energy that represents something which the team personally wants. Though the leader is important, finally it is all decided by customer. So a good design from customer is really important too. It shows clearly what they want, such as material, dimension, tolerance, function, special requirement and so on. During making product, it is so important for us to realize that how importance the improving the role and function of each part is. When we get some improvements, it always takes us to shorten the lead time, increase the productivity, improve the quality, optimized the function, solve some technical difficulty and so on. Though we will take more energy, time, and cost into it, when customers get meaningful improvements from us, they will be glad to pay extra money to us. One good engineer is very important to our product design, improve to final production, he will provide different options to have product design, production and quality inspection feasibility. One good quality engineer will make each of key points inspection during production and after production, and will make more quality control trains before production. To make whole system good running to service our customers. There are still many other tips to improve our product and make better CNC machining product performance. And it is our great honor the share more here and we will keep studying and give better and better service to existing and potential customers.